Thank you everyone for taking part in this contest. 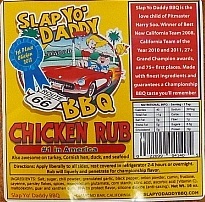 OK, I am working on relaunching my award winning 1st Place USA championship barbecue rubs in a spiffy new container and labels. 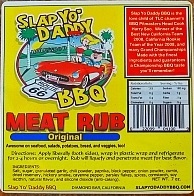 With so many product names already taken, I’m trying to find a unique name for each of my 3 rubs: Original, Chicken, and Beef. If you want to suggest some names, please complete the form below. 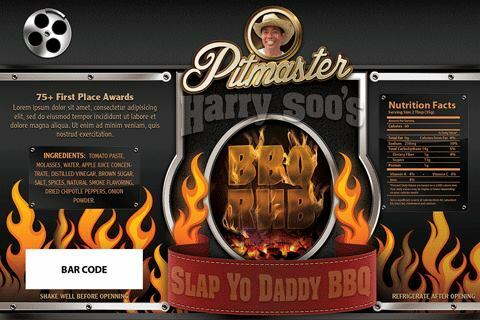 Maybe Slapilicious Bird Rub, Harry’s Beef Rub, Bovine Madness, SYD Bling Original Rub, Symphony of Flavors?? ?